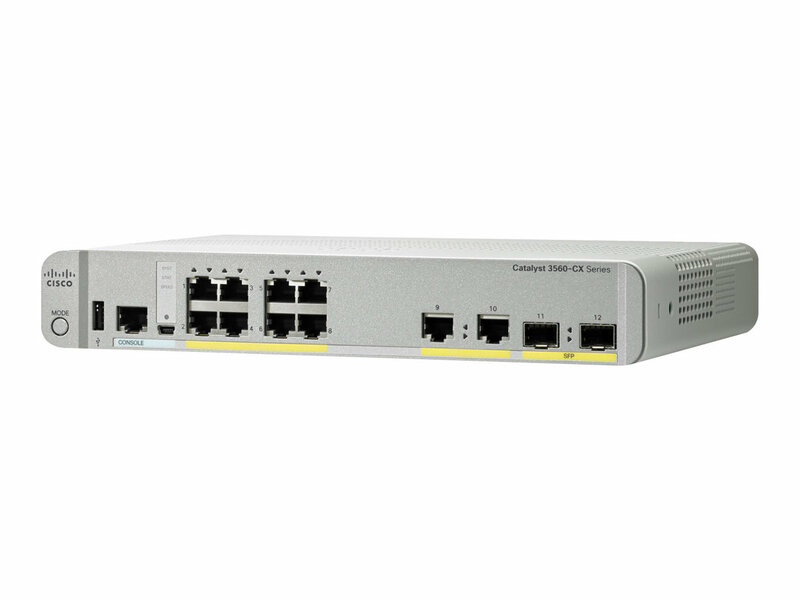 The Cisco Catalyst WS-C3560CX-8TC-S compact switch helps to optimize network deployments. These Gigabit Ethernet (GbE) managed switches are ideal for high-speed data connectivity andWi-Fi backhaul in places where space is at a premium. With a single copper or fibre cable from the wiring closet, With their quiet, fan-less design and compact footprint, these switches offer flexible mounting options and open up a variety of network design and connectivity options. Use them in offices, classrooms, hotels, retail stores and other enterprise and branch locations. The setup allows for shorter cable runs from the compact switches, allowing for flexibility in space redesign and growth as new devices join the network - this eliminating the need for expensive and inflexible cabling infrastructure. The switch can be used in open workspaces and other areas that cannot tolerate equipment noise and where multiple cable runs could be difficult, expensive, and intrusive. The switch can be mounted on the wall, under a desk, rack, DIN rail, or practically anywhere they are needed. 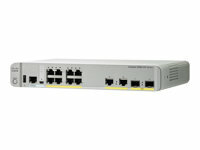 Cisco Catalyst 3560-CX compact switches ship with the IP Base version of Cisco IOS® Software. The 3560-CX switches can be upgraded to use the IP Services version of IOS Software with a right-to-use (RTU) License. The IP Base and IP Services feature set on Cisco Catalyst 3560-CX switches provides baseline enterprise services in addition to all LAN Base features. They support Layer 3 networking features, including support for routed access, Cisco TrustSec, media access control security (MACsec), and other advanced network services. The IP Services feature set provides full Layer 3 routing capabilities with Open Shortest Path First (OSPF), Border Gateway Protocol (BGP), Enhanced Internal Gateway Routing Protocol (EIGRP), Policy-Based Routing (PBR), Multicast Routing, and Virtual Routing and Forwarding (VRF) Lite.